Antique late Victorian very elegant walnut armchairs/carvers with leather seats cover. 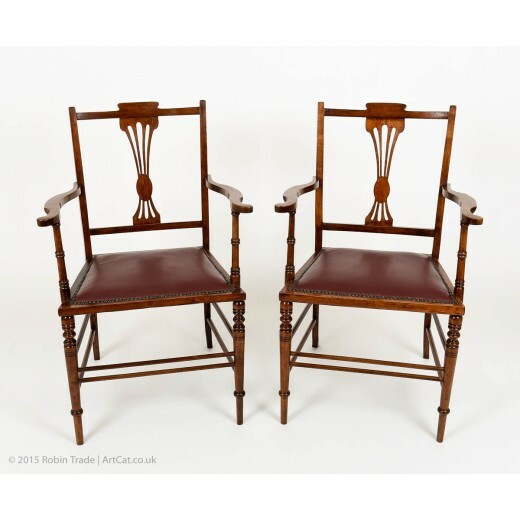 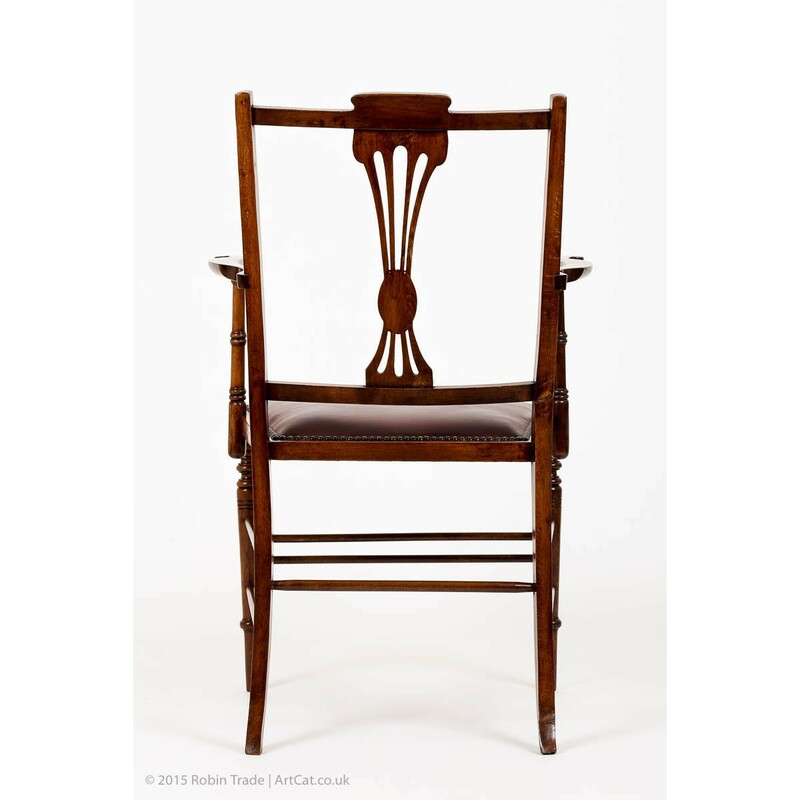 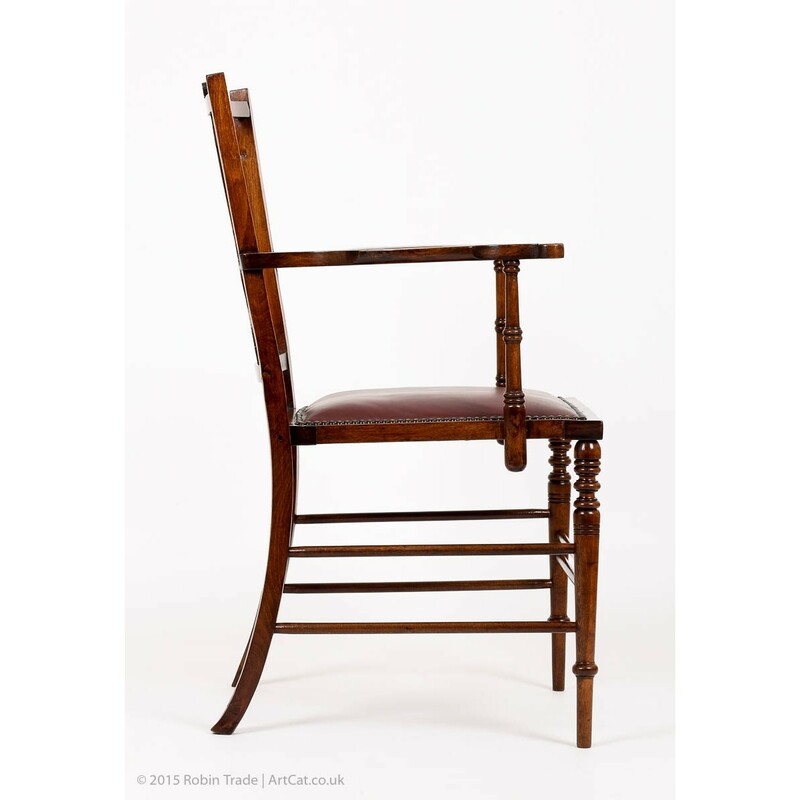 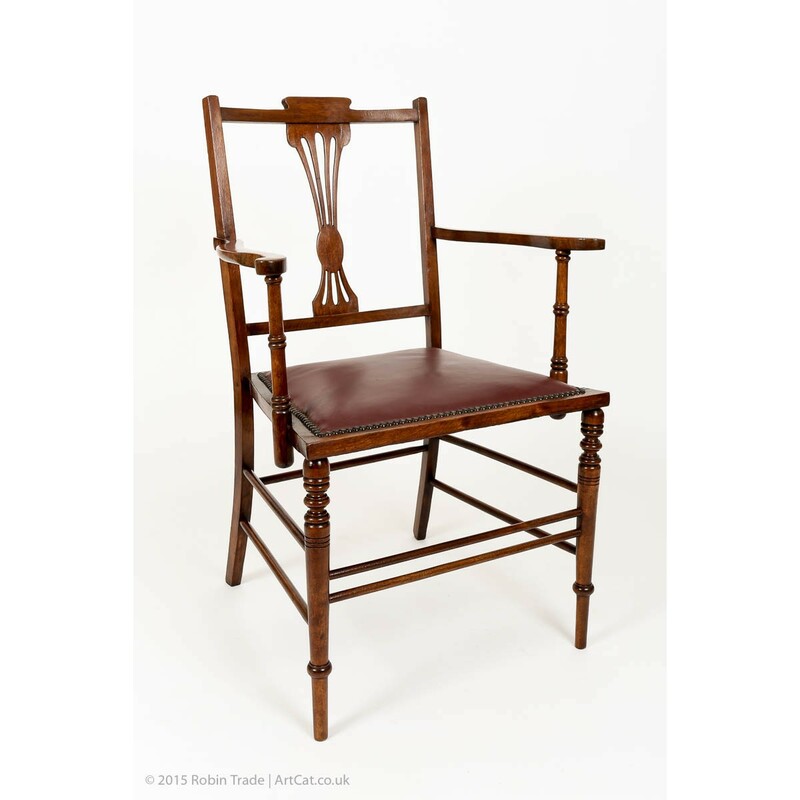 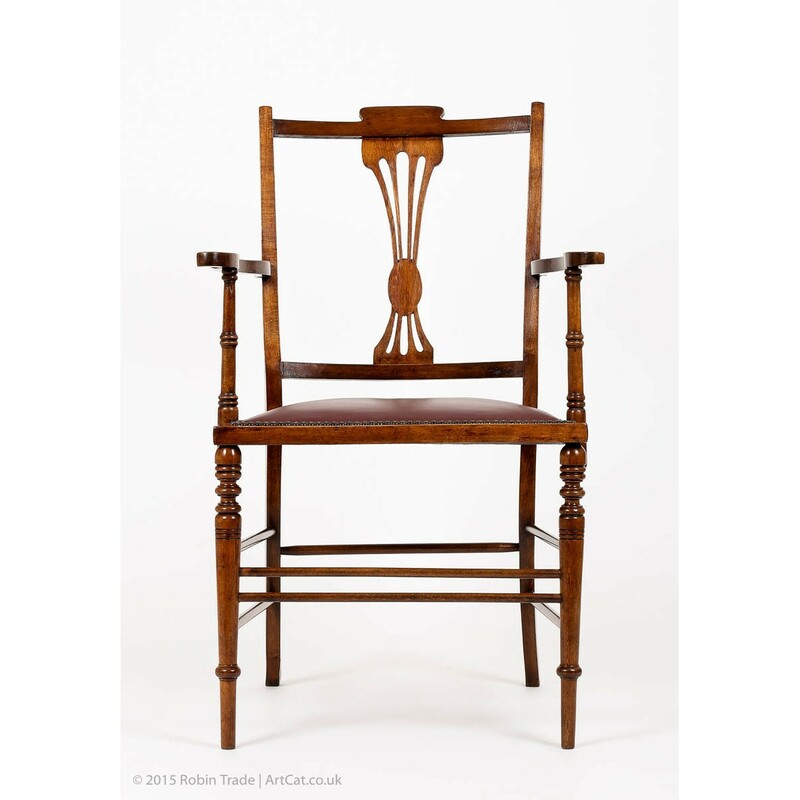 The armchairs are sympathetic restored and are in wonderful condition throughout. 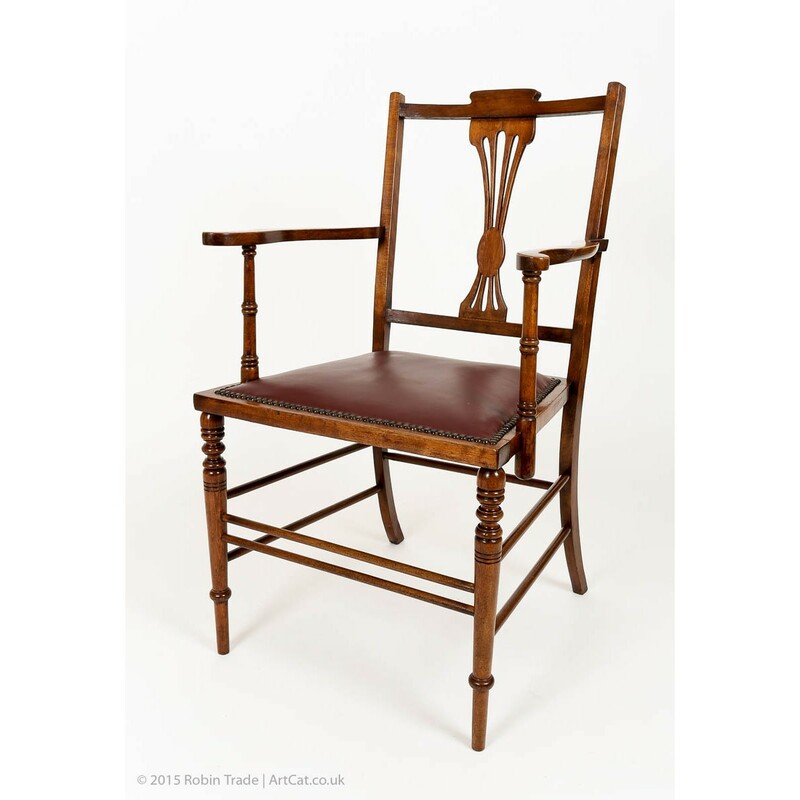 Beautiful addition to your bedroom, dining room or hall.